An annuity is a financial product that you put money into, let it ‘grow’ or gain interest, and then accept payments back at a later time, usually during retirement. Some annuities allow you to receive the payments until you pass away, while others offer payments for a set period of time. 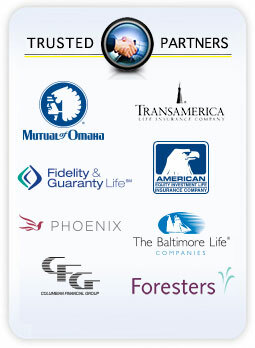 With annuities, you will not lose money if the market decreases, so there is no market risk. You also don’t have to pay taxes on annuities until you begin receiving payments, which allows you to gain more interest than you would in a regular savings account. Your Social Security benefit may not be a satisfactory income by itself during your retirement. With an annuity, you are guaranteed to make an income during your retirement and the interest you make on your money will be greater than if you just let it sit in a savings account. It is important to plan ahead for your retirement so that you can enjoy it without worrying about how to pay the bills. 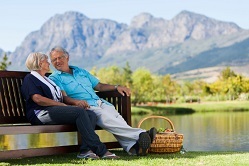 You could have a relaxing retirement with a guaranteed income to supplement your Social Security benefits. If you’re interested in an annuity, fill out the form to the right or call us today and you’ll receive a free quote from one of our certified insurance agents. We’re happy to help you find the retirement plan that’s right for you.